Welcome to Be Brilliant U, a place to learn how to master your brilliance, build your business, and own your career. Through these courses, you'll determine your true value, ignite your passions, and transform your “job” into the career of your dreams. Become your best self. Shift Your Brilliance helps you direct your own personal development narrative. 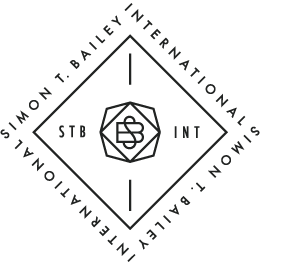 In Simon T. Bailey’s signature program, you’ll learn how to become a leader of the future and Chief Breakthrough Officer of your organization. Whether it’s in the boardroom, to your family, or in front of 10k people, this course will teach you how to speak effectively. Give a brilliant presentation and watch the new clients, promotions, opportunities, and life changes start to roll in. Your life and career will be forever transformed. There are four key types of business relationships in your career: your manager, your coworkers, other departments, and with executives. In this Lynda course, Simon is your guide to building authentic connections with others to create your own personal board of directors for success. The workforce may be competitive, but you are not alone. The individuals who see your ambition and point you in the right direction can act as advocates. In this best-selling Lynda course, Simon helps you build a trusting relationship with a sponsor—and change the course of your career.